Premier Academy is growing! We will be opening our second campus located in Rochester Hills (Tienken & Adams) in January 2020! Click here if you’re interested in joining our list to receive updates regarding enrollment information. Interested in checking out a sneak peek of our new facility?! Click here! April 1st-5th is a non-curriculum week, uniforms are not required. 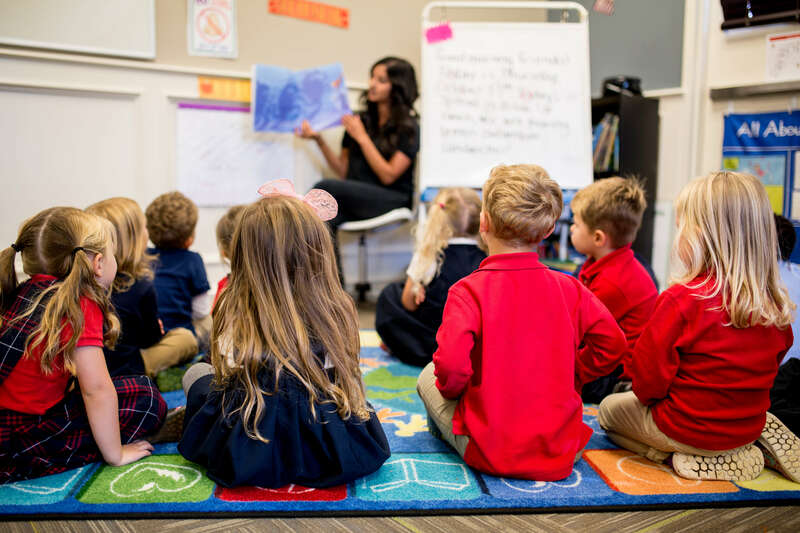 Premier Academy is a Christian-based, non-sectarian early childhood campus established for the purpose of meeting a community’s need for excellent educational opportunities with childcare hours for working parents. We are an extension of the parents. Our purpose is to educate, train, provide learning experiences and help develop the total child in mind, body, soul and spirit. We offer a healthy, safe, loving environment where all actions and attitudes are in the best interest of the children. Privately held from the beginning, Premier Academy can take a long-term view and operate differently than many other public companies. We have the flexibility to innovate, invest and make critical decisions that will benefit our families for the long term. This is the second year we’ve sent our son to the Montessori program at Premier. We are so happy we chose Premier Academy. We’ve had nothing but a great experience. The staff is so sweet and helpful and the administrators are friendly and communicate regularly with families. When we walk down the hall almost everyone knows my sons name. The teachers are so kind and not only provide our son with a great education but they take wonderful care of him too. He love it there…seriously, LOVES it. I often find myself dragging him out of the classroom at the end of the day! I highly recommend this school. I’m thankful we found it and am proud to be able to start my son off here with a wonderful education. He’s learning and growing more and more each day at Premier. My child seems to be comfortable with all of her care givers and happy to be at school. 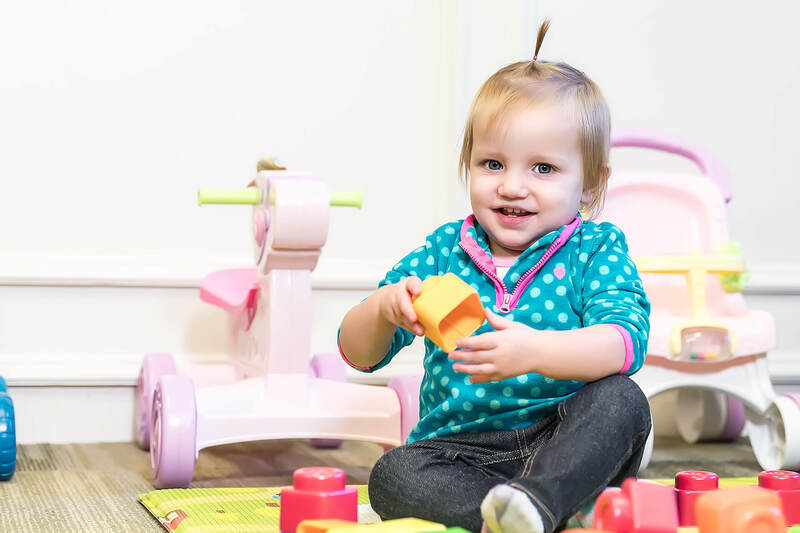 Being an infant, her happiness to be there must reflect the type of experience she has at school. That helps me feel better about her time away from mom and dad. Being greeting every morning is a great way to start the day! I hope as my child grows, she learns to greet others as she walks in from those interactions. Both of my kids currently attend Premier and our experience has been wonderful. My son has attended since he was 2 1/2 years old and participated in both their traditional curriculum as well as the Montessori program. He is now in their Pre-K/Young 5’s program and is SO ready for Kindergarten in the fall! The school, the teachers, and the administrative staff are wonderful! My kids both love going to school and have grown so much socially and academically. I would definitely recommend Premier! 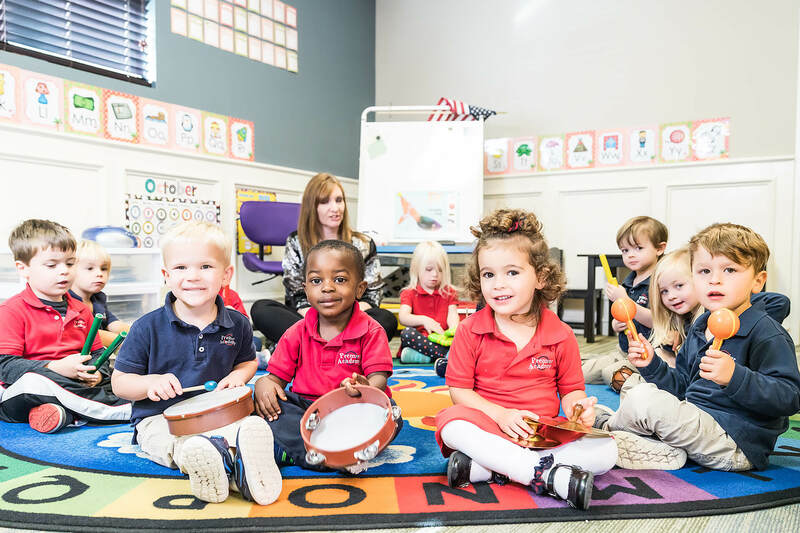 Premier offers a great environment for kids to develop academically and socially. The building is clean and secure. Literally all the staff from the principal on down know the names of my kids. Great school if you’re interested in a Christian based learning environment for your child. The school also provides extra curricular activities for your child such as ballet/dance, and gymnastics. For working parents this is a big plus! My daughter was in Miss Tello’s Montessori class for 2 years and she was so prepared for kindergarten and continues to be advanced now that she’s in 2nd grade. My son just started 3 year preschool in Miss Tello’s class and we are confident he’ll have the same great experience. The environment is not only academic but is also a place they encourage having fun and the kids feel loved by all of their teachers. I know I’m making the right decision sending my kids to Premier Academy. Premier Academy is an amazing school. My 3 year old daughter has been attending the Montessori Program since June and she loves it. The school offers a individualized learning experience through hands on and fun activities. I also love the fact that the admin personnel is always very flexible with my schedules and they are always willing to accommodate families. I believe Premier Academy’s program combined with parent support contributes to a wonderful education of any kind. When I drop my daughter off at Premier Academy, I feel comfortable knowing she is in an caring, clean and quality environment. The administrators, teachers and teaching assistants are very friendly, professional and welcoming. The daily classes and after school activities available at Premier are wonderful. Ms. Tello is an excellent Montessori teacher. My daughter is reading and counting. She loves to learn. She learned the pledge of allegiance and a sweet prayer before meals. The Premier Staff teaches the children polite and respectful manners. My daughter enjoys playing with the other children. She is flourishing both academically and socially. The facility is beautiful. The outdoor play are has ample space to run and a fun play set. Premier Academy is a very special place. I searched a long time to find the perfect place to send my daughter, and I found it in Premier Academy. My two kids both go to Premier Academy, and I can’t imagine them being anywhere else. It is a structured environment that places an emphasis on the growth and development of children through the many activities offers, such as arts & crafts, a library bus and other fun experiences. All the teachers and staff truly care for the children, and a full report is given each day letting the parents know all the details about the day. I feel like my kids are getting a great head start on their education by attending Premier. We have been extremely happy with our experience at Premier Academy. I have been there for four years. The teachers are AMAZING and do a wonderful job taking care of my daughters. The school is always clean. Lunch is prepared at the school and they provide healthy snacks. I would say it is an atmosphere for children to learn and excel. My oldest was very prepared for Kindergarten when she left and we still use the before and after care…I would highly recommend this school to anyone I know. Premier does so many things well it’s hard to name them all. Quality teachers with a passion for childcare and learning. Our kids love it there and speak highly of the teachers and administrators daily. Staff is kind, thoughtful, accommodating, approachable and open to communication and partnering with parents. Staff and Teachers even go above and beyond and sometimes send pictures of my kids doing fun activities…Really shows how much the Premier team cares! What a great place for kids to learn, play and grow. Also, love the activities that teachers and administrators come up with including crafts, pictures, charitable events, Santa visits, Christmas concerns, Summer events. I constantly recommend Premier based on the quality, creativity and amazing administrators, teachers and care givers! Premier Academy is a great school. I’m so pleased that we chose to send our son there. He began attending as an infant. Premier made it possible for me to go to work and feel completely confident in his care. I have no doubts that they are providing him the best care and a great start on his education. They emphasize development through many different activities in a structured environment. They also offer many different approaches to education to suit each specific child. There are also optional activities children can participate in such as dance, karate and gymnastics that take place at the school and are very educational and convenient. My son loves it at Premier. The teachers and staff all know his name and he knows theirs as well. It is a very comfortable environment for him and he is not in a hurry to leave at the end of the day. I would wholeheartedly recommend Premier Academy! I couldn’t be more happy to have my son attending Premier Academy. He has gained so much knowledge and I’ve seen so much improvement in him since he started attending Premier Academy. I feel safe knowing what he is doing and how he is doing in his classroom each day because he has the best teachers who keep me well informed. The staff is so friendly and caring, and the whole routine they have for the kids is amazing. He eats great here, naps great, which I never imagined possible. Truly I recommend Premier Academy to everyone. Keep up with our learners, visit our Facebook! Call to schedule a tour, see our facility, and choose between one of our many versatile programs! Premier Academy enrolls year round, based on availability. Call to inquire about openings.